Since I left Costa Rica in early June I’ve been immersed in Portuguese, Creol and English consecutively but very little Spanish. Today in Honduras I decided to try to revive the rusty Spanish and speak to the church in their own tongue. Either God gave me special dispensation or the people were very gracious, but the words flowed and they even laughed at a joke I told. 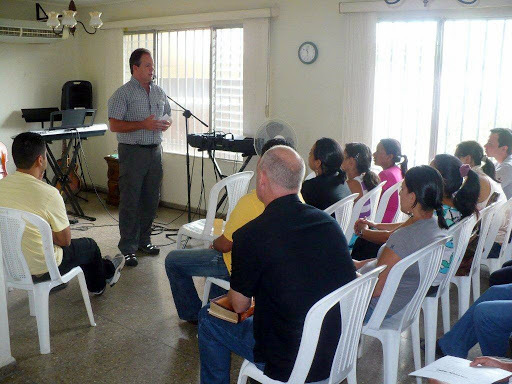 We are in Tegucigalpa where the fledgling Evangelical Free Church welcomed us warmly. What a wonderful place to be when you can travel with someone like Bob Werntz who spent 12 years here and knows someone everywhere we go. And tonight….big, juicy steaks for dinner!